2019 Toyota RAV4, DESIRABLE FEATURES: LANE KEEP ASSIST, SMART DEVICE INTEGRATION, BLUETOOTH, WIFI HOTSPOT, and ADAPTIVE CRUISE CONTROL. 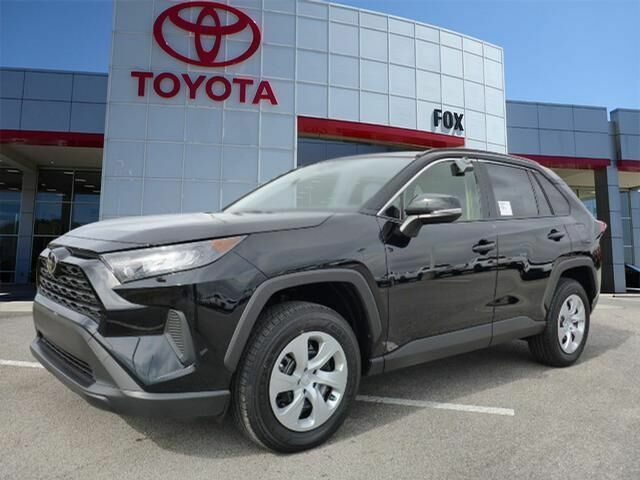 DEALER CONTACT INFO: Call Fox Toyota today at (865) 494-0228 TO SCHEDULE YOUR TEST DRIVE of this 2019 Toyota RAV4 LE! Fox Toyota serves Clinton & Knoxville, TN Car Buyers, you can also visit us at, 228 Fox Family Lane Clinton TN, 37716 to check it out in person! FINANCING:Clinton & Knoxville, TN buyers looking for COMPETITIVE FINANCE RATES are right here at Fox Toyota where we offer competitive rates offered thru. Fox Toyota has this 2019 Toyota RAV4 LE ready for sale today with an additional 25 OTHER MODELS LIKE THIS IN STOCK!